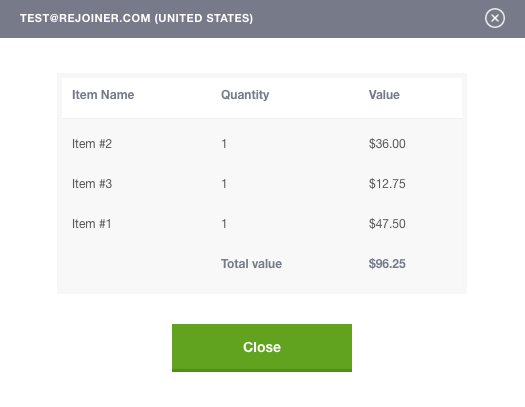 In this tutorial, you'll learn how to use the Rejoiner dashboard to search for customers, view order events and see cart data for specific orders. For both abandoned carts and customers who convert as a result of a Rejoiner campaign, you can search for customers using their email addresses. Select the time window for when the customer you're searching for interacted with your site. Enter the customer's email address into the search bar. Once you've found the order you're looking for. 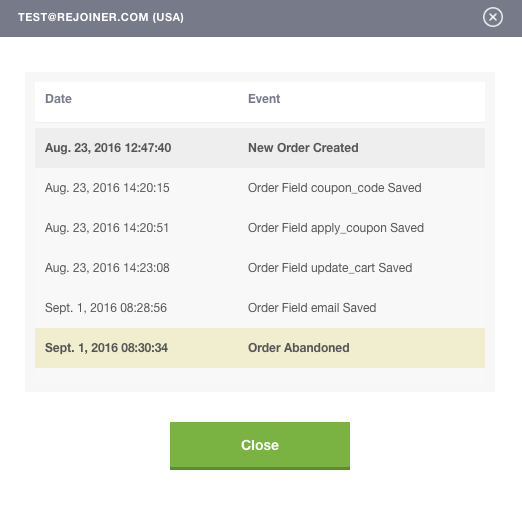 You can view events related to a customer's order by clicking the timeline icon next to the person's email address. In similar fashion, by clicking on the shopping cart icon next to the customer's cart, you'll see what items were in the cart when the customer abandoned/converted.